We hope that the links below are helpful to you. If you have a website that might be of interest to Maestro & Montego owners please let us know. MG Car Club – The site for all MG cars, old and new. MG Maestro Site – Matthew Semple’s site for decals and his MG Maestro. MG Maestro Turbo Register – Holds details of every MG Maestro Turbo sold. Neil Turner’s MG page – Montego and Maestro enthusiast. Stews MG/Rover Site – Metros, Rover 100s and a left hand drive MG Maestro 1600. Austin Federation – Federation of Austin Clubs, Registers and Associations. FBHVC – Federation of British Historic Vehicle Clubs. Vanden Plas OC – Covering all Vanden Plas models including the Austin Rover era. MG Car Club FWD Register – The MG Car Club’s Front Wheel Drive Register. Austin Ex-Apprentices – The Austin Ex-Apprentices Association. Vintage Austin Register – Caters principally for the Austin 12, 16 and 20 HP. Austin Cambridge & Westminster Club – Cambridge A40, A55 & A60, Westminster. Austin 1100 Club – For owners of the BMC 1100 & 1300 range of cars. Austin Maxi Owners Club – One of the Maestros predecessors. Morris Marina Owners Club – Including the Ital register. Triumph Dolomite Club – Triumph’s small saloons from the 1960s and 70s. Princess & Ambassador OC – One for “wedge” fans. Allegro Club International – Austin Allegro addicts need look no further. Metro Owners Club – The Austin Metro & Rover 100. Rover 800 Owners Club – For the 1980’s Rover flagship car. Rover Sports Register – For all Rovers, from bicycles to jet engines. Rover Coupe Owners Club – The Rover “Tomcat” Coupe. RoverTorque – A club for owners of modern Rovers. Rover 200 and 400 Owners Club – New club for the popular Mk2 200/400. Rover 75 & MG ZT Owners Club – The last production car to emerge from MG Rover. British Mini Club – For all things Mini. Mini Cooper Register – Specilaising in the Classic Mini Cooper and ‘S’. Morris Minor Owners Club – For all varieties of the ubiquitous Morris Minor. Morris Register – For Morris cars designed before 1940. AR Online – A very informative resource exploring the history of MG Rover and BL. British Motor Museum – Museum of British motoring history at Gaydon. Austin Memories – An in-depth look at the Austin Motor Company and Longbridge. XPower Forums – Popular enthusiasts website for the Longbridge MG saloons. MGOC Race Reports – The official championship website. Peter S. Taylor – Recommended classic car insurance specialists. Lancaster Insurance – Classic car insurance specialists. Peter James Insurance – Classic car insurance specialists. Peter Best Insurance – Classic car insurance specialists. Hagerty Insurance – Classic car insurance specialists. Adrian Flux Insurance – Probably the largest classic car insurance specialists. 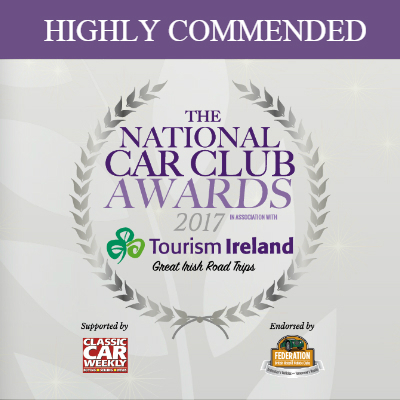 Carole Nash Insurance – Classic car insurance specialists. Footman James Insurance – Classic car insurance specialists. Cherished Vehicle Insurance Services – Classic car insurance specialists. Austin Garages – MG Rover Independent Specialist in Staffordshire. Xpart AutoService Centre – Genuine parts & servicing for MG & Rover Group cars. Good Garage Scheme – Search for your local recommended repair garage. Rimmer Bros – Mail order parts & accessories for MG Rover, Triumph & Land Rover. Car Parts Direct – Mail order motor factor. Hadrian Panels – Manufacturer and distributor of replacement body panels. MG Rover Part Finder – See if anyone still has stocks of the part you need. Vehicle Wiring Products Ltd – Mail order parts for vehicle wiring. Advanced Driving UK – A useful resource for those interested in driving. Auto Trader – Don’t forget the M&MOC classifieds first! Bangernomics – Plenty of good advice for those of us running older cars. Car & Classic – Classic cars for sale. Car Mechanics Magazine – A helpful website from the well known magazine. Classic Car Mart – Classic Car Mart magazine. 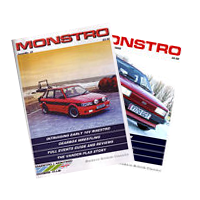 Classic Motor Monthly – Online Classic Car magazine packed with information. Drive Archive – What happened to your old car? Institute of Advanced Motorists – Get more from your driving. Member discount. Petrol Prices – Find the lowest petrol price in your area. Pistonheads – Motoring news & banter. Practical Classics – Home of Practical Classics magazine. Classic Car Buyer – Home of Classic Car Buyer newspaper. SABRE – Society for All British Road Enthusiasts! Sniff Petrol – A slightly more light-hearted look at the car industry. Ten Tenths Motorsport – Motorsport discussion forum. The Society of Auomotive Historians in Britain – For those interested in automotive history. NEC Classic Motor Show – The main show at the end of the season. NEC Restoration & Classic Car Show – The show for all classics at the start of the season. Manchester Classic Car Show – The main show out of London and the Midlands.